With the release of the latest Sutja Gutierrez 12″ vinyl LP, we offer up this quick chat we had with the artist about the new album and video…. Where is Sutja from and why does he make music? SG: I was born in Tarragona (Spain) and grew up in Castellón, in a small village located in the mediterranean coast. I have lived in different cities throughout my life, till I’ve arrived to my current city of residence in Tenerife. I make music for having fun, breaking away and enjoying one of my favourite ways of freedom of speech. I consider myself a very active and creative person, that’s why I’m constantly working and thinking about new ways of making music. Why is the new album titled “Cult & Truth”? SG: The album is titled “Cult & Truth” because of the curiosity I’ve always had for the truth behind the different cults. In this album I’ve mixed cult, truth and some of my personal life, telling my own vision of truth and life, trying to make you understand what I have felt over all these years. You often tweet or post cryptic yet uplifting quotes (ex: “Please Smile”, “No War” or “If today were the last day of your life, would you want to do what you are about to do today?”). Can you explain your outlook on life? SG: Well, I think life is about simplicity, breathe and create. It’s all about fly without boots and run without wings. We are beautiful/simple human beings and intelligent animals, we can do it better, i’m sure of that. it’s all in our minds. The video for “El Magico (feat AFFKT)” has been very successful. Can you explain the story behind the video? SG: I am very happy with the reception of the album and also very lucky for being surrounded by wonderful artists and being able to work with them. People like Carlos Kometzier, Andrea Fg and Elisa Lastres have made this video possible. The story talks about “El Magico”, a character who arrives to an unknown world. While he is exploring this new land, he meets one of its residents who shows him the way we all are looking for: the happiness. What is next for Sutja? SG: Enjoying, learning and never stop growing, believing, creating and loving. 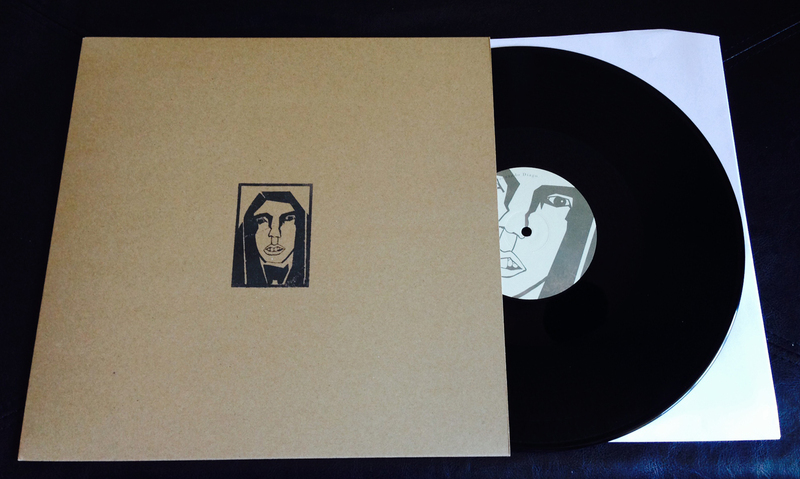 Purchase the XLTD Edition 12″ here. Having spent the last 7 months furiously bringing his self-titled debut EP to life with numerous live performances around the country and relishing a work ethic just as strong, Songs For Walter alter-ego Laurie Hulme has been bashing out new songs as though they’re going out of fashion. And here it is, the pick of the latest bunch; a 2 and half minute trip of lo-fi strummery that comes perfectly timed with its autumnal meanderings. Sutja Gutiérrez and Bleeding Gold Records present “Death Is My Lover, Life Is Your Wife / Weekend Boy” 7inch vinyl edition. “Death Is My Lover, Life Is Your Wife” was written by Sutja Gutiérrez during a short period where Sutja had some cancer tests at the hospital. Don’t worry, he is at no risk! “Weekend Boy” was written by Sutja Gutiérrez during his last disappointment with nightlife. Please, Smile.